Between Burger Week, Shark Week, and Chicken Week, it’s a tough decision which week is my favorite. Actually, who am I kidding. Burger always wins. In every decision in your life, go with the burger and you’ll always be happy. Tillamook is making a weeklong stop in Salt Lake City during their annual Loaf Love Tour. And they’re celebrating SLC’s affection for burgers by teaming up with two of the city’s top burger stops: The Wild Grape and Squatters. Each restaurant has created a burger special just for Burger Week. Wild Grape has developed the Tillamook Triple Cheese Burger. Three of Tillamook’s cheeses (sharp cheddar, Monterey Jack, and Pepper Jack) top the sustainable beef burger, along with spinach and tomato, all between two pieces of artisan bread buns. This burger will be served alongside Wild Grape’s house-cut fries (which may just be my favorite fries in Salt Lake) for $11. Squatters has also put together an incredible burger. Niman Ranch ground chuck, topped with Tillamook Pepper Jack, roasted green chilies, fresh avocado, and house-made chipotle aioli. 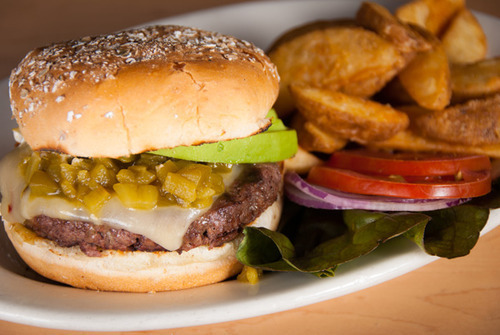 The burger comes with your choice of fries or salad for $10. The burger specials will run at each restaurant from July 21st through July 28th. To stay up to date with the Loaf Love tour’s whereabouts, follow them on Twitter. You can also get more info by going to the Loaf Love’s website.